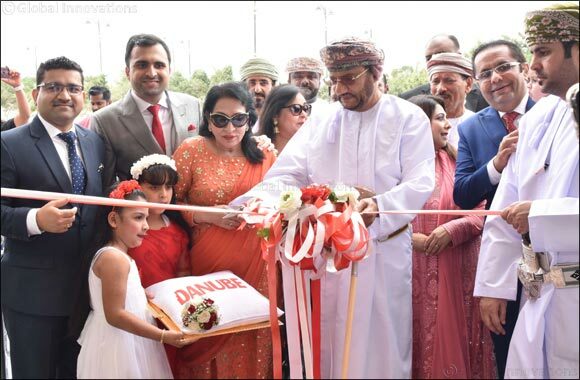 Dubai, UAE, July 23, 2018: Leading home furnishing and improvement of Middle East, Danube Home has recently opened their fifth big box store at Salalah Oman with an investment of AED 40 Million. Present at the launch were Mr Rizwan Sajan Chairman and Founder Danube Group, Mr Adel Sajan, Director Danube Group along with senior management of the Group. The new store spans across 70,000 square feet of retail space spread across two floors, with a huge assortment of 50,000 home furnishing and improvement products. The design, colour, product categories, clearly marked signage and friendly sales staff will definitely provide you with an exceptional shopping experience. The impressive range of products appeals to a target market that desires multiple options in a singular location. Commenting on the new launch, Adel Sajan, Director of Danube Group, said: “Our decision to open one more Danube Home store in Oman reflects the trust we have in the government of Oman and the response we are getting from our customers. We are extremely happy with our back to back launches across the globe. The brand has been honoured with numerous awards and accolades at the national, regional and international level for the leadership, innovation, excellence in the sector.